Today was the official launch of the site, which is a combination of a few of my project efforts. 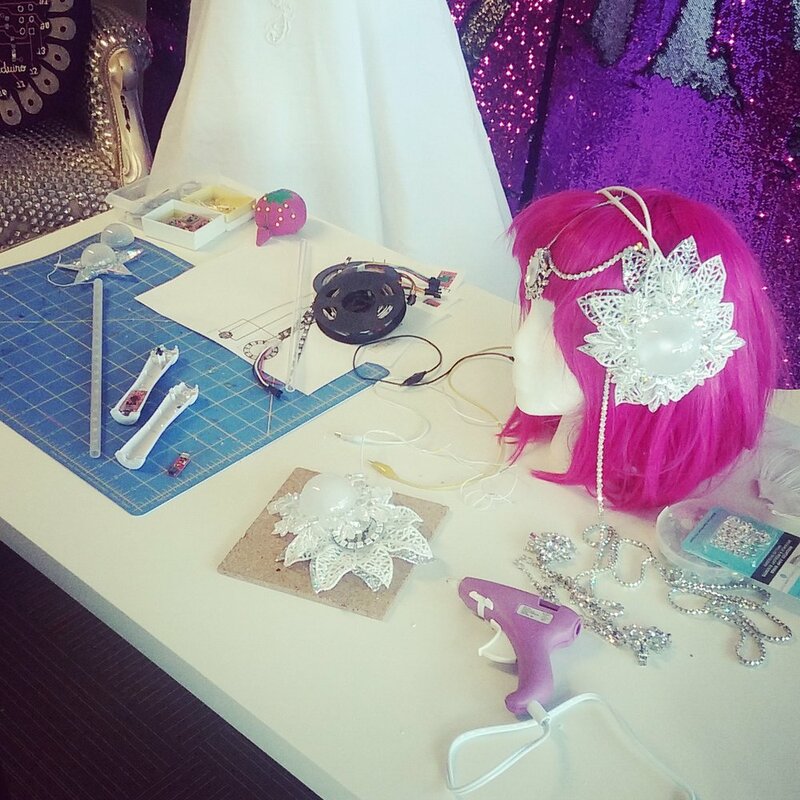 I've migrated my blog posts from Soft Circuit Saturdays and my personal blog onto the site and added my workshop calendar to a central hub for all of my electronic (and non-electronic) craft and costume pursuits. Check out the Showcase section for my completed projects by category, browse my Tutorials and How-Tos, or see what my latest project is on the home page. For snippets of works-in-progress, follow me on Instagram. Over at SparkFun, they have a series called Desk of an Engineer where they surprise an unsuspecting engineer with an interview about their workspace. In honor of the LilyPad 10 year anniversary I was the featured guest. Though I am not technically an engineer, I work very closely with engineering through my role in product development. Go check out the full post and pictures of my unique office space over on the SparkFun blog. 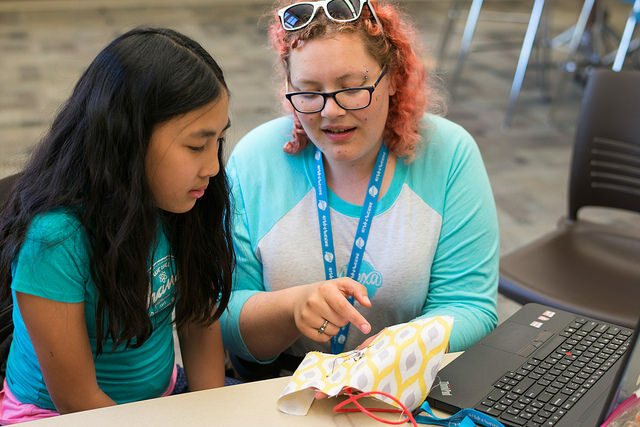 Read my tips for using conductive fabric over on the SparkFun Education blog. New on the SparkFun Education blog - my favorite ways to DIY e-textile sensors. Looking for something to inspire future e-craft and e-textile projects? I've put together a list of my top picks over on the SparkFun Education blog.